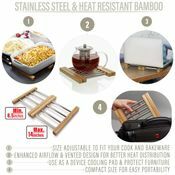 Protect valuable countertops and table surfaces with the Prosumer's Choice expandable bamboo trivet. This natural bamboo and stainless-steel hot plate will give kitchens, dining rooms and serving spaces a robust yet elegant feel that is as practical as it is enduring. 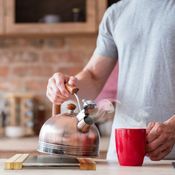 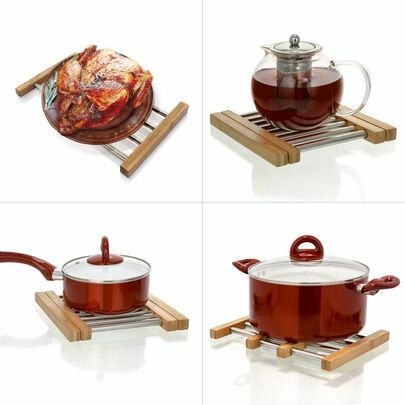 With an adjustable design which lets you slide the versatile hot pad from 8.5 inches to an expansive 14 inches, Prosumer's Choice trivet blends effortlessly within upscale interiors while also looking natural within traditional or retro decors. 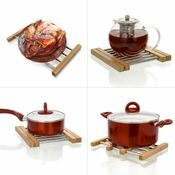 Having a decorative yet functional cooling plate is an essential tool for gourmets and a must-have for the rest of us daily cooks. 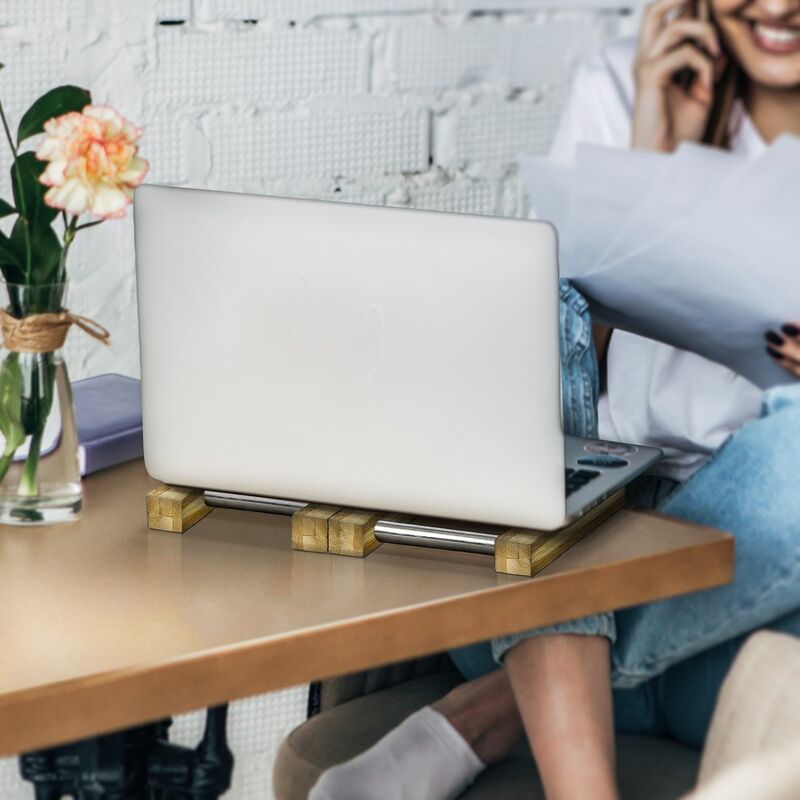 With its lightweight and compact design, another function of this trivet is the ability to be used as a cooling platform for electronics, helping distribute the heat generated by your laptops to protect your furniture surfaces. 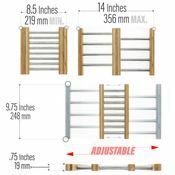 It's small enough to easily pack inside your backpack or laptop bag to carry to your favorite coffee shop or library. 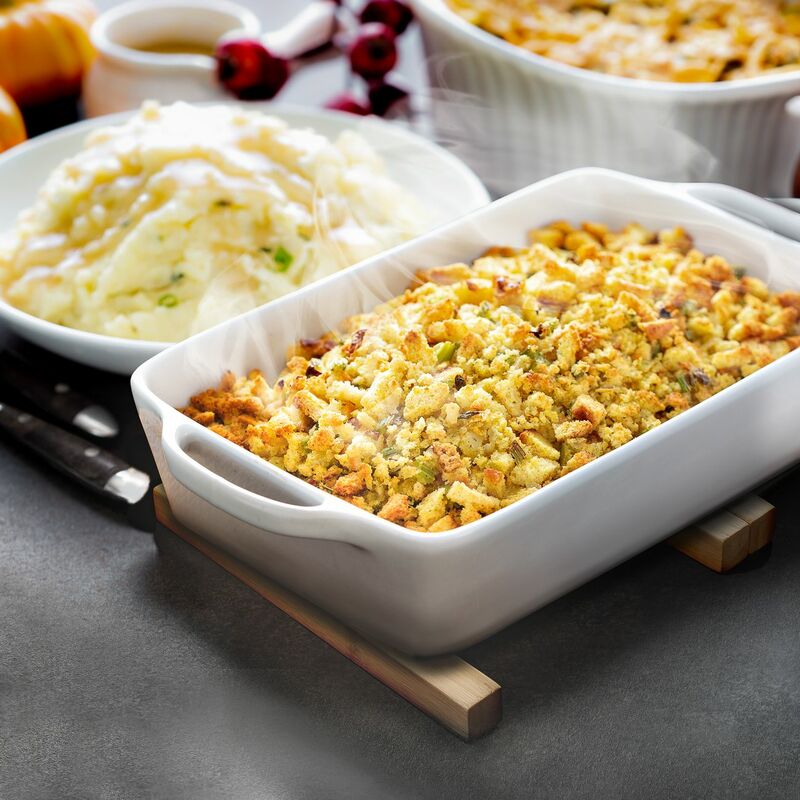 It's easy to forget how hot pots, pans, casserole and other dishes get when you pull them out of the oven. One wrong move and you'll have a burn mark or spot on your countertop or table that will be there for life. 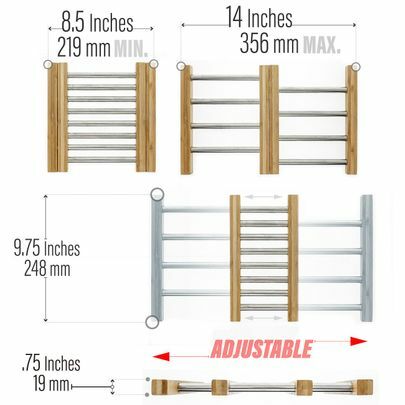 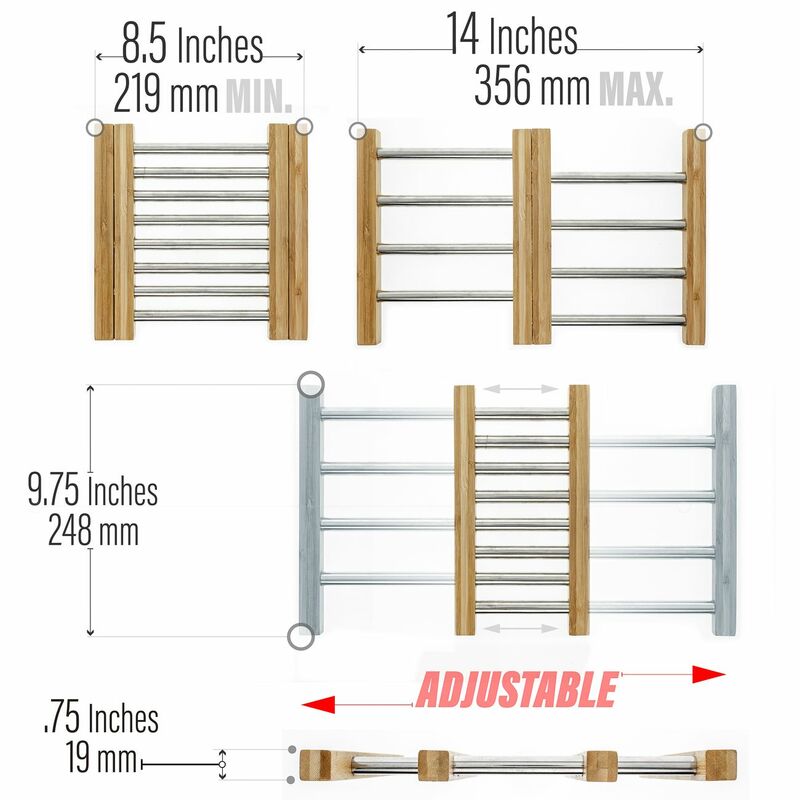 This Prosumer's Choice device includes bamboo side holders that stay cool to the touch and stainless-steel center rods that can withstand the heat of your cookware. 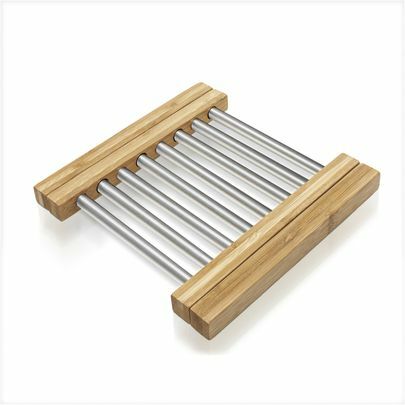 It transforms from small to large with a simple motion so your food is ready to be placed on counters or tables without fear of damage. Small enough to toss in a drawer so it's ready when you need it, the hotplate will be a staple on your dinner table and an accessory that will protect surfaces and keep them beautiful.